Mouse Guard – The Movie! Our ninth announcement in the #RoadToSanDiego is that a movie based on David Petersen’s long-running Archaia fantasy series, Mouse Guard, is in the works! The film will be written by Gary Whitta, the screenwriter of December’s hotly anticipated Rogue One: A Star Wars Story, and produced by Dawn of the Planet of the Apes and Cloverfield director Matt Reeves along with BOOM! Studios’ Ross Richie and Stephen Christy. Launched in 2005, Mouse Guard is the epic series created, written, and illustrated by David Petersen about an elite group of warrior mice who are sworn to protect mousekind from their enemies and to help keep order within the mice territories. The series has sold almost a million copies combined and has been translated into 10 languages. 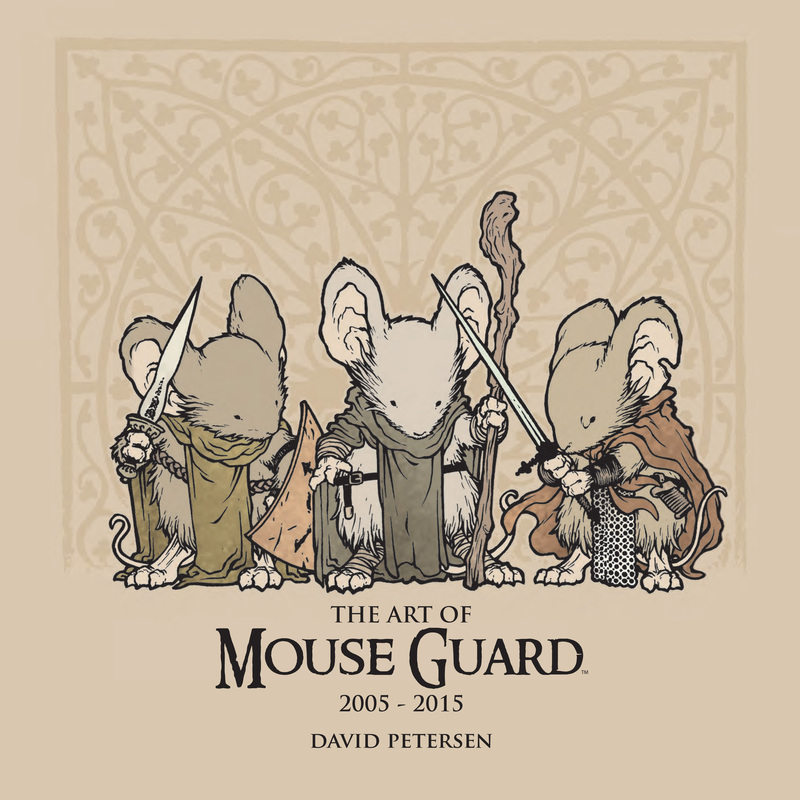 Publications include Mouse Guard: Fall 1152, Mouse Guard: Winter 1152, Mouse Guard: The Black Axe, and three volumes of Mouse Guard: Legends of the Guard, in which a host of writers and artists contribute Mouse Gaurd short stories. Recent releases include The Art of Mouse Guard: 2005 – 2015 and Mouse Guard: Art of Bricks, with the Mouse Guard Coloring Book coming in October, Mouse Guard: Legends of the Guard Vols. 1-3 Box Set coming in November, and Mouse Guard: The Weasel War of 1149 expected in 2017. David Petersen will appear at San Diego Comic-Con July 20-24 at Table GG-9 and host a panel, “The World of Mouse Guard,” at 5pm in Room 32AB with guests BOOM! Associate Editor Cameron Chittock; Hal Lublin (The Thrilling Adventure Hour), who will perform a live reading of a Mouse Guard, short story; and screenwriter Gary Whitta.